Click here to see Zach's Birthday Party and other photo albums. Well, we took the plunge. We started off with tent camping and then decided to "rough it smoothly". 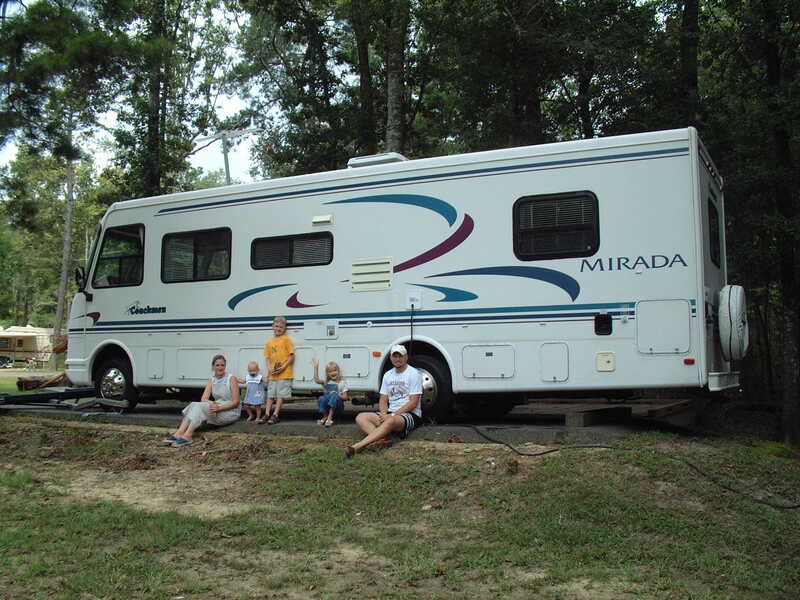 We purchased a used Coachmen Mirada and have started camping at the numerous State Parks in Louisiana. We are thinking about taking a two week trip in August that will take us through Texas. To the right you will see a picture of our first camping trip. We spent the weekend at Tickfaw State Park which is East of Baton Rouge and West of Hammond. We have lots of stories. Check back often as we will change the pictures as events happen.